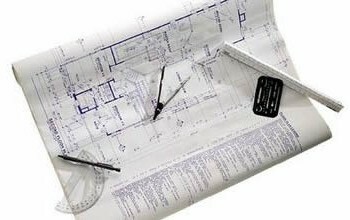 Fire Safety Consultants offer many advantages to the building designer. With so many fire relevant codes of practice and guidance documents, we are confident that an experienced Fire Safety Consultant can enhance your design and can be on hand to support your design team throughout the duration of the project. Our experienced Fire Safety Consultants, can provide an effective building design checking service we can be available to contribute fully at meetings throughout the design and build process or bought in deal with specific aspects of the project to ensure cost efficiency and an appropriate fire safety design. The benefits of having a Fire Safety Consultant on hand to provide proactive and timely advice throughout the design phase, has become increasingly apparent as the scope and complexity of fire safety legislation, guidance and codes of practice have increased. When an application is made for building regulations approval to a Building Control Body, statutory consultation takes place between Building Control, and the Local Authority Fire and Rescue Service. The purpose of this consultation is to allow Building Control and the Fire and Rescue Service to detail any further fire safety requirements they consider necessary under Building Regulations and the Regulatory Reform (Fire Safety) Order 2005. These consultations will often result in amended plans having to be submitted to satisfy their requirements, sometimes causing both considerable added expense and delays in gaining approval for the project.